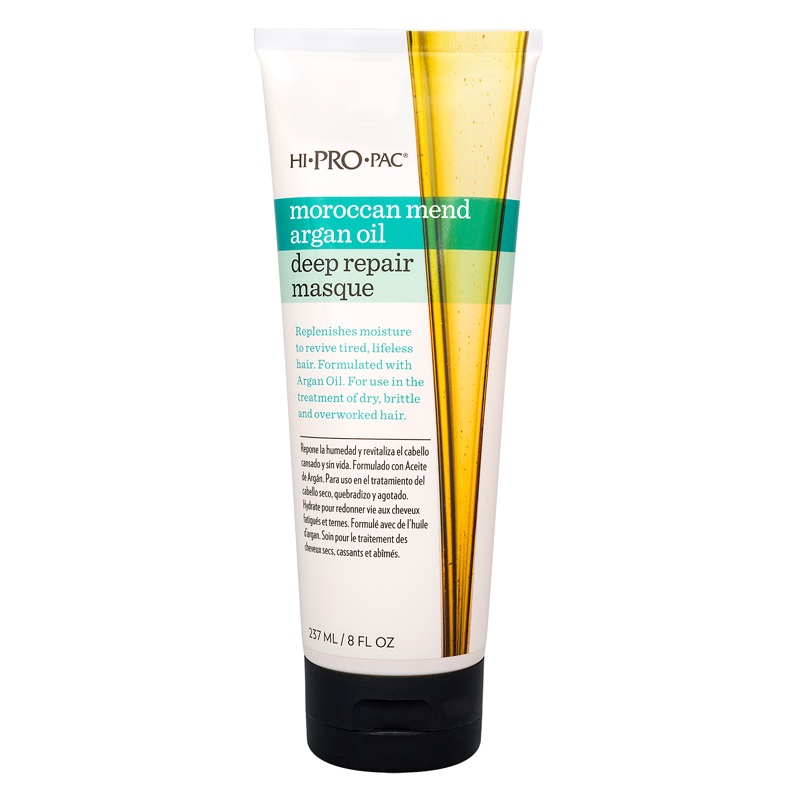 Formulated with argan oil, a natural oil native to Morocco this deep repair masque is effective for use in the treatment of dry, brittle and overworked hair. It replenishes moisture to revive tired, lifeless hair. 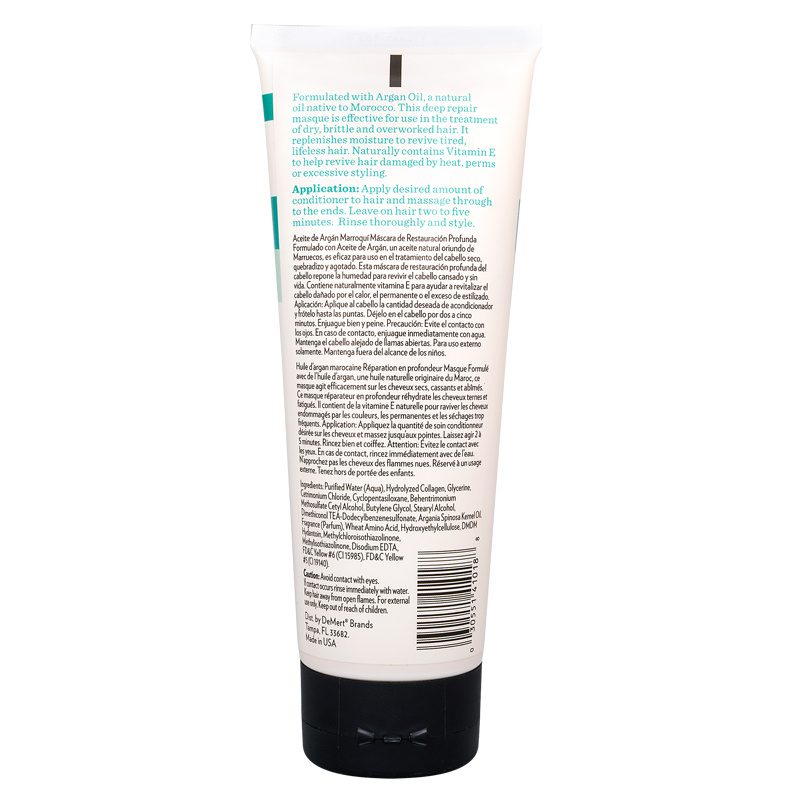 Naturally contains Vitamin E to help revive hair damaged by heat, perms of excessive styling. Directions: Apply desired amount of conditioner to hair and massage through to the ends. Leave on hair 2-5 minutes. Rinse thoroughly.